If you’re plagued with an oily complexion, Stay Matte But Not Flat Liquid Foundation is the perfect antidote to problem skin – without looking heavy or mask-like. Boasting a lightweight formula that’s water and oil-free, it works to effortlessly banish shine and conceal imperfections to get your complexion looking flashbulb perfect. 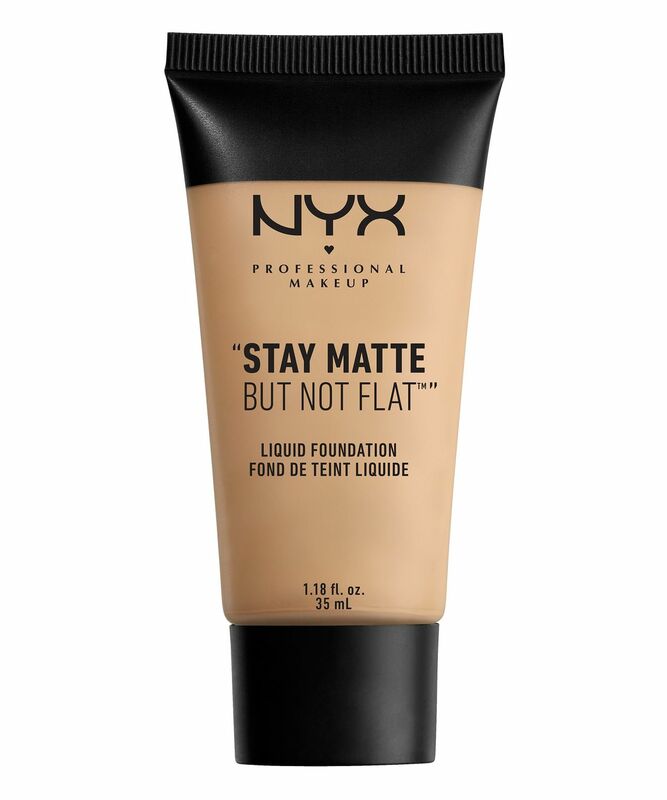 Very rarely do you come across a foundation that’s hardworking and affordable – yet NYX Professional Makeup have managed to hit it out of the ballpark, once again. Top marks, chaps. This mattefying foundation is brilliant at banishing shine but also lets your skin breathe, so it won’t look dull or caked on. The formula is infused with skin-loving minerals and sits comfortably on the skin, providing full coverage in the bargain – ideal if you’re plagued with an oily, blemish-prone complexion. The shade range caters for a wide variety of skin tones – take your pick from ‘Chestnut’ and ‘Cinnamon Spice’ to ‘Golden Beige’ and ‘Ivory’. Using fingers or a foundation blush, dot small amounts onto your skin, starting from the middle of your face and blending outwards, adding more where you need extra coverage. For me, this is a perfect foundation. I found the exact colour that matched my skin tone. It's not full coverage but feels light on the skin. it feels nice and moisturising. It does streak a little when applied with a brush, but I use a blender. But when put it on it did not give a matte finish until I put baking powder on top of it. If you're going for a dewy, glossy look, by all means, use it, because it's perfect for that. But if you're going for matte and light, make sure to use baking powder. I used it a couple times and I just hated it. I've got combination skin so I was looking for something between moisturising but yet mattifying in t-zone so it seemed perfect. Does none of that. My skin in t-zone was looking so shiny but you could also see the dry patches... Oxidises a bit too. I looooved the HD foundation, but you should expect it comparing the prices. Tbh not even worth 3 stars. Oxidised poorly on me and some of my clients and friends, does not dry to a matte finish, if anything its the opposite. Stays quite dewy and sticky and no matter what setting powder I've tried it just soaks it in and ends up looking horrible and patchy. However you get what you pay for, and for £6 it is still an okay foundation. Supposed to be buildable but in my experience the way to avoid patchiness and bad oxidisation is to apply only a very thin layer, so it works just fine as a very sheer coverage foundation when I need one. I am very fair and bought this foundation only because the lightest shade is yellow based and it matches me quite well. However, it does oxidise into pink during the day. The finish is extremely dewy and sticky and the foundation doesn't set at all. It feels heavy and greasy on my skin. Because of the wet finish powders don't blend on top of it but just sink in right where you put them and therefore bronzer and blush can be difficult to pull off. I have tried a couple of powders to set it with, but the amount needed is unreal because again this stuff is like clay on your face. Technically this can be built up to high medium coverage, but the finish is thick, clay-like and uneven, at least on me. 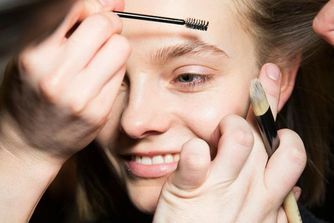 I do use product because of the colour and I can kind of make it work if I only use a small amount with a flat top brush and want a dewy finish. I absolutely love the foundation for myself and I don't have many blemishes or breakouts so it covers like a dream, I tend to coat with 2 layers but I tend to do that with all my foundations, perfect for my skin for everyday use! The only thing I'd change is the dewiness of the foundation as it's supposed to be matte but apart from that, I love it! Definitely not heavy on the skin! But also depends on what skin type you are (dry, oily, combo). This will be my 3rd or 4th purchase on this product and will definitely look into trying the foundation drops! Unlike said in the description the foundation does feel heavy and sticky even though it is oil free. Most shades are orange based and don't match many skintones. They don't look natural once applied.